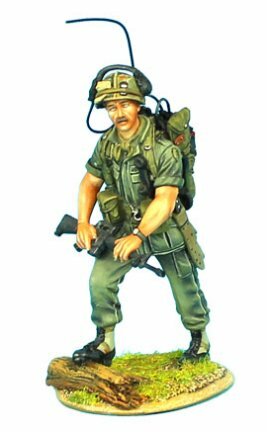 First Legion Vietnam conflict figures are from the 25th "Tropic Lightning" Infantry Division and bear equipment from 1968-69; right around the TET offensive. These Vietnam War miniatures are suitable for any display or diorama in which the 25th fought, from the Iron Triangle to Cambodia. These figures might also make excellent gifts to a veteran of the conflict or as a commemorative gift to a family member. While the politics are still controversial today, the conflict deserves our respect and First Legion has created these individually hand painted and deeply detailed figures to focus on the military operations that occurred therein. 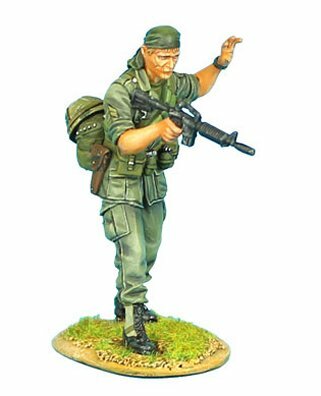 Browse our selection of Vietnam military miniatures here.